Theresa May continues to plunge the whole of the UK into crisis, with her refusal to work towards a compromise on Brexit. Now, her government has suffered yet another defeat in Parliament and faced three more ministerial resignations, with three Conservative MPs resigning from the government in order to vote against it and ensure that Parliament can take back control of the Brexit process. Theresa May now sits at having had 41 government or cabinet ministers resign or be sacked since the 2017 General Election. Here’s every single one of them and why they resigned (clue, a lot of them resigned because they can’t support her disastrous Brexit deal – including two Brexit Secretaries). Nigel Adams MP, Parliamentary Under-Secretary of State for Wales. Resigned on 3 April in opposition to Theresa May’s approach to Brexit. Richard Harrington MP, Parliamentary Under-Secretary of State for Business and Industry. Resigned on 25 March to vote against the government whip. Steve Brine MP, Parliamentary Under-Secretary of State for Public Health and Primary Care. Resigned on 25 March to vote against the government whip. Rt Hon Alistair Burt MP, Minister of State for the Middle East and North Africa. Resigned on 25 March to vote against the government whip. Sarah Newton MP, Minister of State for Disabled People. Resigned on 13 March to vote against the government whip. Paul Masterton MP, Parliamentary Private Secretary to the Scotland Office. Resigned on 13 March to vote against the government whip (the only Scottish Tory to do so and vote against a no-deal Brexit). George Eustice MP, Minister of State for Agriculture, Fisheries & Food. Resigned on 28 February in opposition to Theresa May’s approach to Brexit. Alberto Costa MP, Parliamentary Private Secretary to the Scotland Office. Resigned on 27 February to table an amendment protecting rights of EU citizens (the UK government opposed the amendment). Craig Tracey MP, Parliamentary Private Secretary to the Department for International Development. Resigned 15 January to vote against Theresa May’s Brexit deal. Eddie Hughes MP, Parliamentary Private Secretary to the Ministry of Housing, Communities and Local Government. Resigned 15 January to vote against Theresa May’s Brexit deal. Gareth Johnson MP, Parliamentary Private Secretary to the Department for Exiting the European Union. Resigned 14 January to vote against Theresa May’s Brexit deal. Will Quince MP, Parliamentary Private Secretary to the Ministry of Defence. Resigned on 8 December in opposition to Theresa May’s approach to Brexit. Sam Gyimah MP, Minister of State for Universities, Science, Research and Innovation. Resigned on 30 November in opposition to Theresa May’s approach to Brexit. Rehman Chishti MP, Prime Ministerial Trade Envoy to Pakistan. Resigned on 15 November in opposition to Theresa May’s approach to Brexit. Rt Hon Dominic Raab MP, Secretary of State for Exiting the European Union. Resigned on 15 November in opposition to Theresa May’s approach to Brexit (the SECOND Brexit Secretary to quit). Shailesh Vara MP, Minister of State for Northern Ireland. 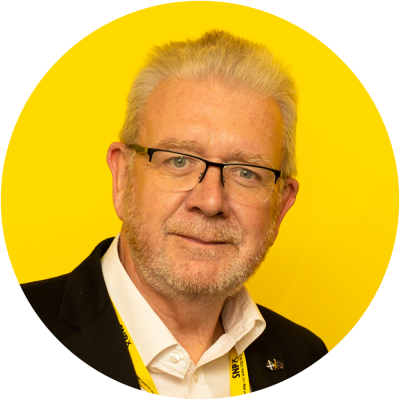 Resigned on 15 November in opposition to Theresa May’s approach to Brexit. Rt Hon Esther McVey MP, Secretary of State for Work and Pensions. Resigned on 15 November in opposition to Theresa May’s approach to Brexit. Suella Braverman MP, Parliamentary Under-Secretary of State for Exiting the European Union. Resigned on 15 November in opposition to Theresa May’s approach to Brexit. Anne-Marie Trevelyan MP, Parliamentary Private Secretary to the Department for Education. Resigned on 15 November in opposition to Theresa May’s approach to Brexit. Ranil Jayawardena MP, Parliamentary Private Secretary to the Department for Work and Pensions. Resigned on 15 November in opposition to Theresa May’s approach to Brexit. Jo Johnson MP Minister of State for Transport. Resigned on 9 November in opposition to Theresa May’s approach to Brexit. Tracey Crouch MP, Minister for Sport, Civil Society and Loneliness. Resigned on 1 November in opposition to the government u-turning on FOBT policy. Scott Mann MP, Parliamentary Private Secretary to HM Treasury. Resigned on 16 July in opposition to Theresa May’s approach to Brexit. Guto Bebb MP, Minister for Defence Procurement. Resigned on 16 July. Robert Courts MP, Parliamentary Private Secretary to the Foreign Office. Resigned on 15 July in opposition to Theresa May’s approach to Brexit. Andrew Griffiths MP, Minister of State for Business, Energy and Industrial Strategy. Resigned on 13 July on allegations of misconduct. Steve Baker MP, Parliamentary Under-Secretary of State for Exiting the European Union. Resigned on 9 July in opposition to Theresa May’s approach to Brexit. Rt Hon Boris Johnson MP, Secretary of State for Foreign and Commonwealth Affairs. Resigned on 9 July in opposition to Theresa May’s approach to Brexit. Conor Burns MP, Parliamentary Private Secretary to the Foreign Office. Resigned on 9 July in opposition to Theresa May’s approach to Brexit. Chris Green MP, Parliamentary Private Secretary to the Department for Transport. Resigned on 9 July in opposition to Theresa May’s approach to Brexit. Rt Hon David Davis MP, Secretary of State for Exiting the European Union. Resigned on 8 July in opposition to Theresa May’s approach to Brexit (despite being the Brexit Secretary supposedly in charge of it). Rt Hon Greg Hands MP, Minister of State for International Trade. Resigned on 21 June. Phillip Lee MP, Parliamentary Under Secretary of State for Justice. Resigned on 12 June in opposition to Theresa May’s approach to Brexit. Rt Hon Amber Rudd MP, Home Secretary. Resigned on 29 April, accepting the responsibility for Theresa May’s hostile environment policy and the Windrush Scandal (but is already back in government). Rt Hon Justine Greening MP, Secretary of State for Education. Resigned on 8 January. Rt Hon James Brokenshire MP, Secretary of State for Northern Ireland. Resigned on 8 January due to health grounds. Rt Hon Damian Green MP, First Secretary of State. Resigned on 20 December after being found to have lied. Rt Hon Priti Patel MP, Secretary of State for International Development. Sacked on 8 November over secret meetings with the Israeli government. Christopher Pincher MP, Comptroller of the Household. Resigned on 5 November over allegations of inappropriate behaviour. Sir Michael Fallon MP, Secretary of State for Defence. Resigned on 1 November over allegations of inappropriate behaviour. Mhairi Black: “I have never had confidence in this government whatsoever, and have no confidence in this Prime Minister”.